I have finished the quilt, all hand stitched, many hours of work. 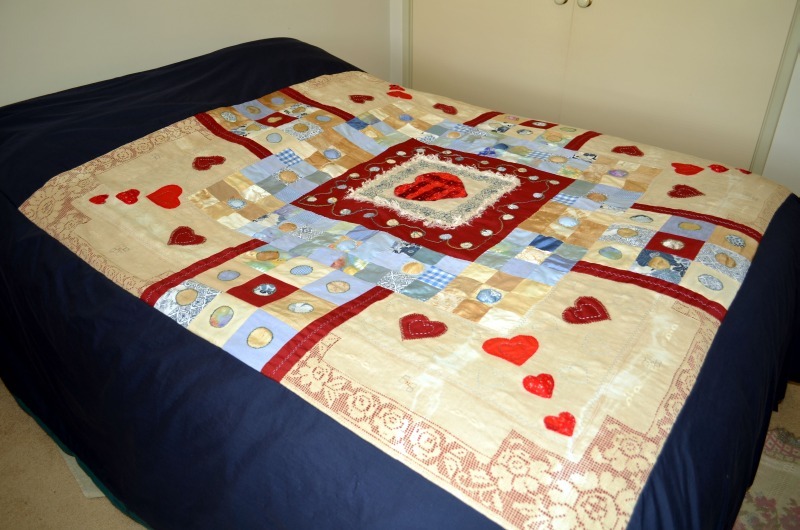 The quilt travelled across Australia over Christmas while I visited family in Perth. I found the navy material in an op shop while there. It was perfect to bring it all together. In early January we drove from the Sunshine Coast to Townsville (2 days drive) to present the quilt to my daughter for her 21st birthday. 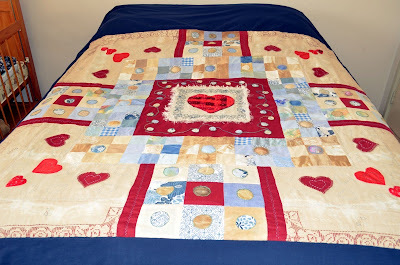 I sat in the back of the car working hard on hand quilting the whole thing. I finished the last stitches as we drove into Townsville! I backed the quilt with a maroon sheet which also acted as the edging. Unfortunately I forgot to take a photo of the finished quilt. I will have to get my daughter to take one for me and post it later. Judy you have done a marvellous job. The quilt is beautiful, and I am sure your daughter will treasure it for years to come. Wow! 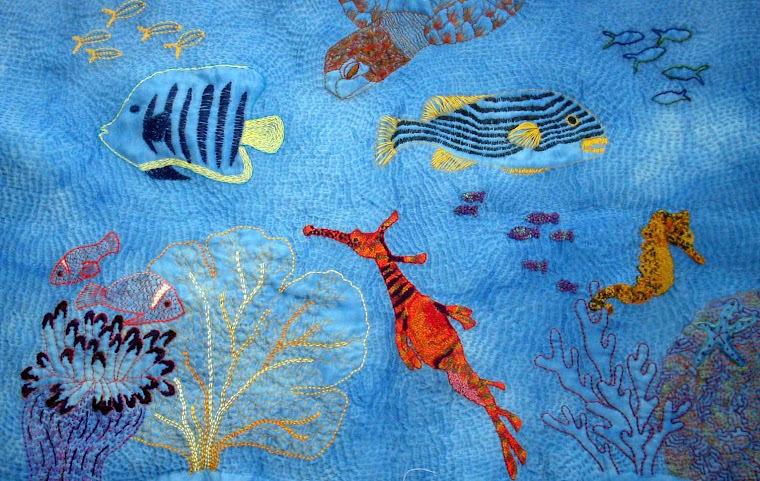 The quilt is amazing. You have done a great job. Also thanks for sharing among us. congratulations on a lovely finish Judy. Can you tell me are you on facebook I would love to follow you lovely work somewhere.